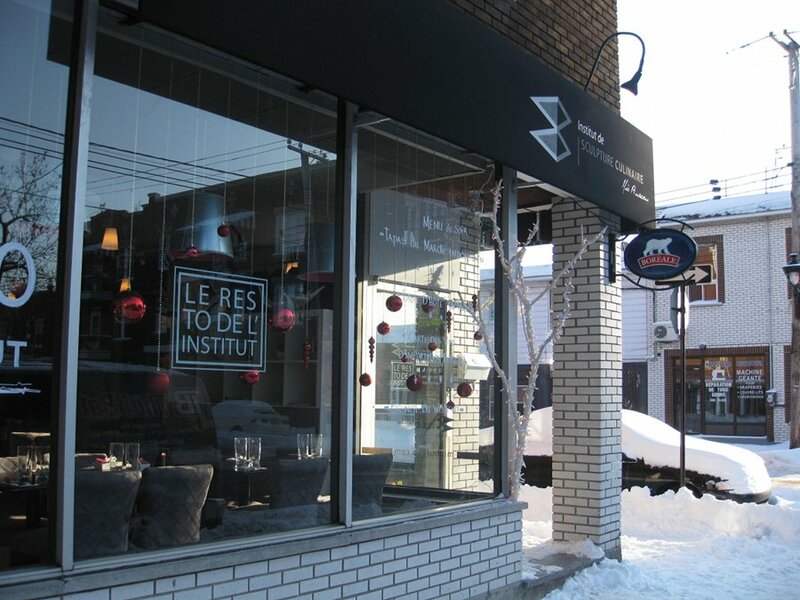 The 411 – For those of you who have been following my reviews, you may know that the Villeray area has been expanding on their brunch selections. I have recently posted a few of the more recent additions to the area. L’institut de sculpture culinaire is a school for fruit carving and presentations. By carving I don’t mean carving a thanksgiving turkey, I mean carving fruits and vegetables; you know those large displays at special events made of fruit? Well this school will teach you that. Besides teaching, they recently opened a restaurant that started to offer a weekend brunch.